Helsinki was founded in 1550 for one simple reason: it is 80 km away from Tallinn. And you know “the white church”, the nucleus of Helsinki city? That area was originally called Vironniemi (Eng. Estonia’s Peninsula). Separated by sea & soviet-occupation, but associated by language & culture, these nations even refer to each other as veljeskansa/vennasrahvas (Eng. brethren nation). So at least a day-trip to Tallinn is a must during your exchange period. Estonia-native Kristiina Rüütman thought of ways to spend the three hours after your alcohol purchases, before the ferry departs back to Helsinki. 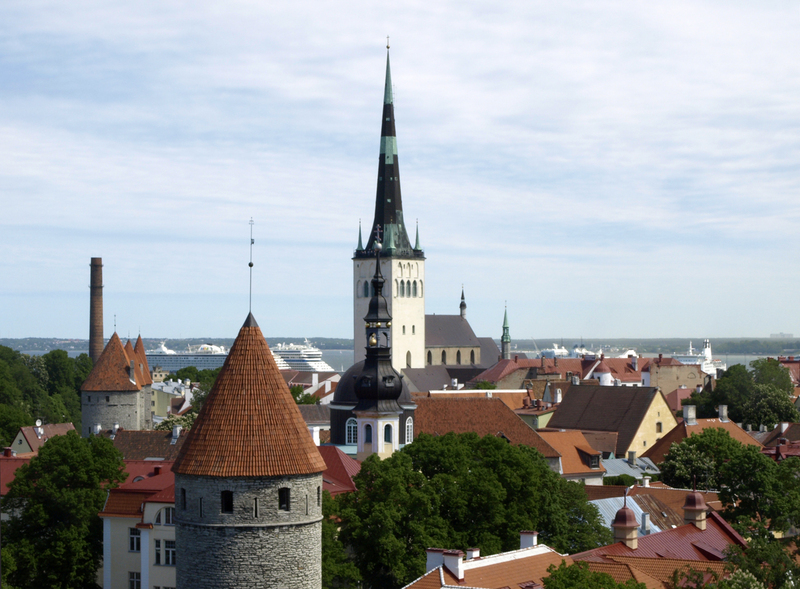 Three hours in Tallinn – what could you do there? Tallinn is an old city and a medieval pride of Estonia. There is just one problem: medieval shine is not seen by many Finns who go there to buy cheap booze from SuperAlko and well, smokers want low-cost cigarettes. I tought hard about what a person could do in Tallinn if they only had three hours to spend there. That was a challenge. What would be nice for one is not necessarily the same for others. Anyway, as people enjoy alcohol I figured they could go to Beer Garden (www.beergarden.ee/en) in Tallinn. It is a pub with a large choice of different beers and you know, you might eat as well while enjoying different flavours of beer. Beer Garden is situated in the center of Tallinn, thank god for that, because center of the city is very near to the port of Tallinn. Now you can’t go to Tallinn without having at least a glimpse of it. It’s the main tourist spot in Tallinn and how lame would be to not visit it? 😉 So, the Old Town is located right next to city center, across the road from Viru Hotel (you will not miss the hotel – believe you me). The road takes you to central town’s hall square where lot of cafeterias and restaurants are located and while walking there you can enjoy the great medieval environment with a few unsuccessful modern hints (you will understand when you see the wannabe buildings there). Also the streets of old towns are filled with small boutiques and souvenir shops in case you would like some memory of Tallinn or something else unuseful for you or your friends. Oh and girls, don’t wear stilettos or something similar, unless you want your walk to be twice as long as usually – old town roads are covered with cobblestone. While you drink your latte in one of the nice cafeterias in hall square you can enjoy the view of our great but scary-looking Town hall. I recommend spring and/or summer for that fun. Now you had your lunch and coffee and if you STILL have time to kill, you can go and visit St. Olaf’s church – with an interesting history it used to be the highest building in the world back in 15th century (or so). That was changed by vicious lightning what attacked the church, so the great leaders of Tallinn decided it is time to let go of such an honourable title. From April to November a viewing platform is opened for visitors in the church tower and you can enjoy great views of Old Town (admission is cheap, 1,92€). Next Post Interested in entrepreneurship? Possibly already have an innovation or idea? Learn how to utilise it!